Don''t let this set fool you. 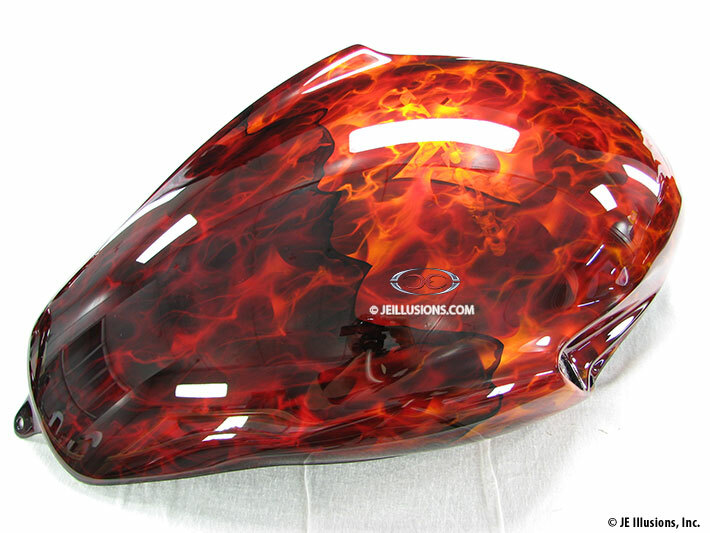 At first glance it may look like realistic flames, but there is so much more to this one. 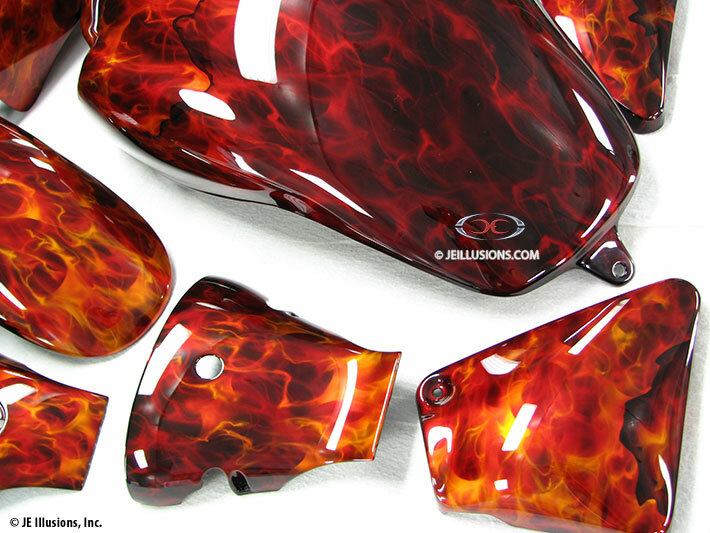 This set has a backdrop of deep kandy orange realistic flames. Then a clear peeling effect was added as if the fire was peeling back another dimension of fire to be revealed. 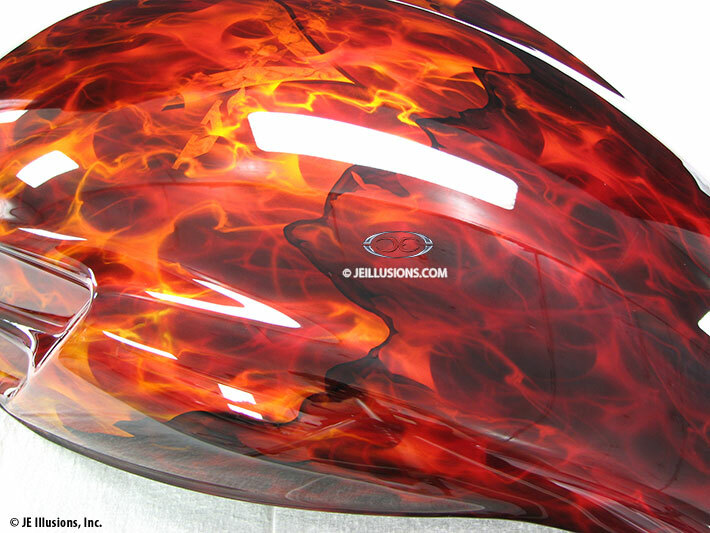 Two seperate layers of realistic flames varying in hues. 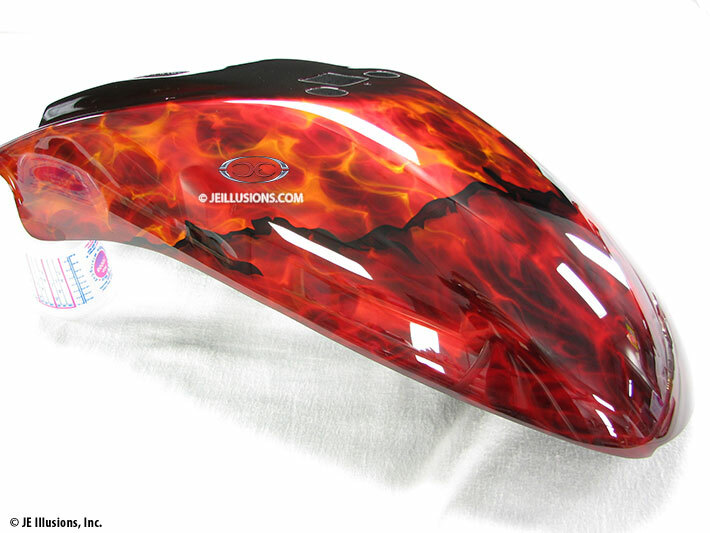 The V-Rod Logo was then airbrushed on the center.